Twyla joined our staff in the spring of 2016 and has made a tremendous impact since her arrival. 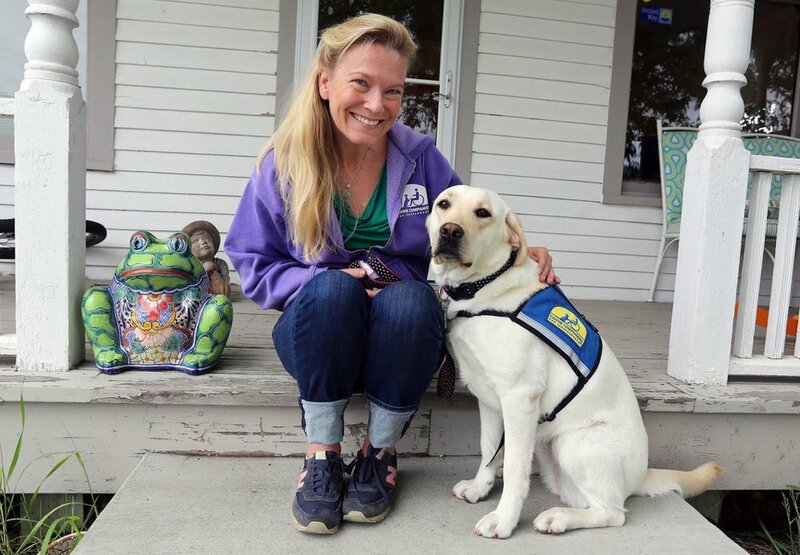 She was trained at Canine Companions for Independence in Santa Rosa, CA and was selected specifically for our program. Twyla is 4 years old and can provide comfort to our clients in the waiting room, interview room, counseling and as victims testify against their abusers in the court room. Studies show the trust, acceptance, and tactile comfort of a friendly dog change the physiology of a nervous child. Visit cci.org to learn more about Canine Companions for Independence.